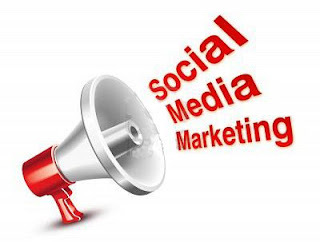 Mastering the fundamentals of Social Networking and the Web2.0 philosophy is merely the permission-based art of selling, knowing how to present ! whatever it is that you're selling to your visitor in such a manner that she feels you will personally solve her problems or fulfill her dreams. You've got to close the sale by causing her to reach into her purse for her credit card or to write out a check for whatever it is you're selling. The first few seconds of the opening encounter with your prospect ultimately affects the success of the presentation and inevitably-whether or not a sale is made. Therefore, it's absolutely critical that your sales presentation radiates enthusiasm and success! Once she's on your Site and is looking at your presentation, you've got to make her feel comfortable; be friendly and believable. Stimulate her interest in whatever you're selling by appealing to one of her primordial wants, needs or problems with a solution. Anticipate her objections; Logically answer them within your presentation. Whenever possible, let her see or read of proof or testimonials from people who have already bought from you. Cast a word movie that allows her to see herself ultimately gratified and satisfied with your product. Give her a payment button to click on or a simple benefits packed squeeze page. Make it as simple and as easy as possible for your prospect to buy from you, extend a generous guarantee and – most importantly- STAND BEHIND IT. The payment button, order agreement or simple coupon should close the sale for you - that is, if your presentation is well-written and highly compelling; she sees what you're selling as an immediate solution to one of her immediate wants, needs or problems! “After a hundred years of research I've found the fountain of youth”. Even some such tripe as “dear friend, you may not know me but I'm now a millionaire...” blah biddy blah. Just ask them if they'd like to _____ ...if so, let me explain; if not, then I don't want to waste your time. Treat your prospects as though their time is more precious than your own!